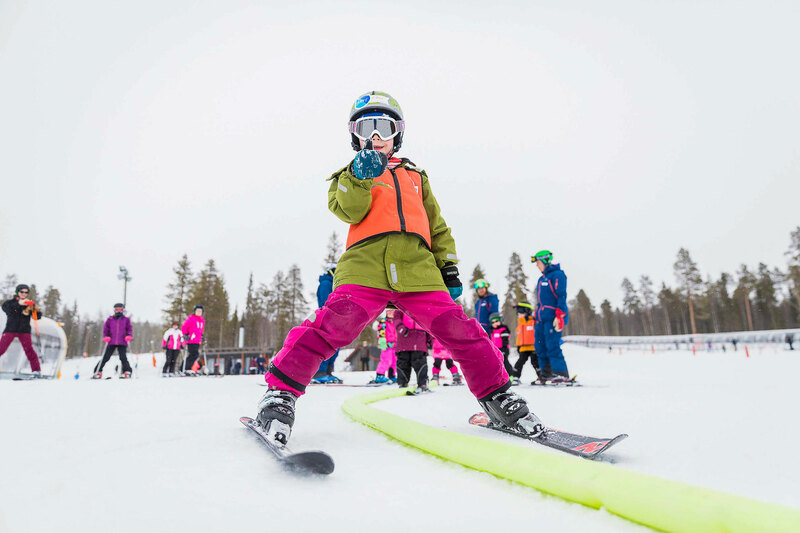 The Levi Ski School offers professional instruction for skiers and snowboarders of all skill levels and varieties: whether you are a beginner, an intermediate or an advanced skier, a snowboarder or a telemark skier. What would you like to learn? The Ski School is about learning new skills, achieving new goals and experiences, and fine-tuning your technique. It is most of all about enjoying and having a great and safe day on the slopes together with our skilled instructors. There is always room for some improvement in technical skills. Our friendly and qualified ski/ snowboard instructors are happy to help you to achieve your goals. 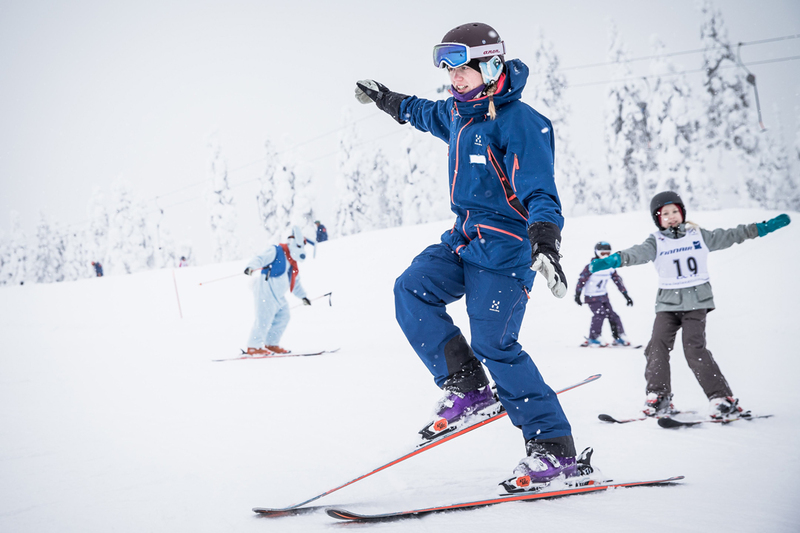 We give lessons in alpine skiing, snowboarding, cross-country, telemark and adaptive skiing for all skill levels. Our Ski School is very international with English and Russian (require for other languages, we might surprise you). The season continues from October until May. We offer private lessons where you can attend one-on-one or with a group of friends with similar ability. The lessons are tailored to your ability, interests and needs. Choosing a private lesson gives you more personalised instruction and a chance to learn faster. For first-timers and beginners, we recommend to book a course well in advance to ensure availability. Ski School offers also courses for the more experienced skiers. Refresh basic skills or learn new ones. Learn for example snowshoeing, ski touring, park skiing or snowboarding. 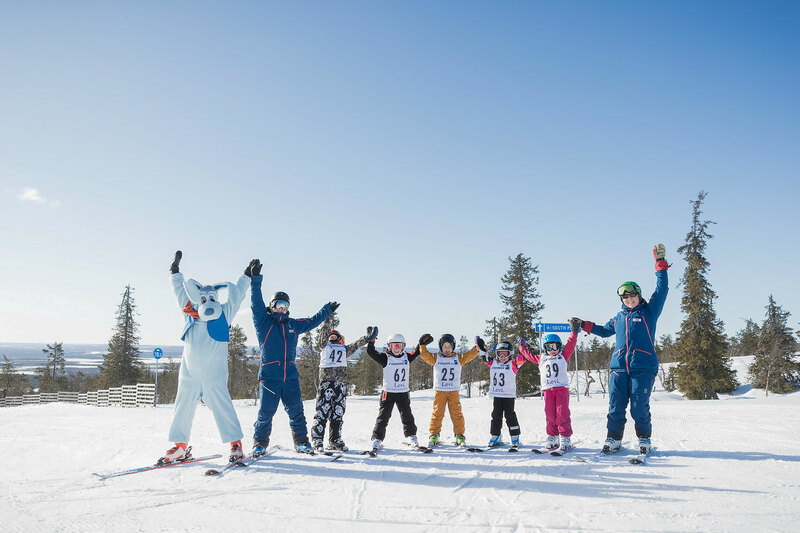 Booking a course for the kids before hitting the slopes for the first time makes sense because it enables a smoother start for the family holiday. Our comprehensive selection of weekly courses provides plenty of options to choose from, for all ages and skill levels – for children, teenagers and adults. The content and learning path adapts to the needs and experience of the group. 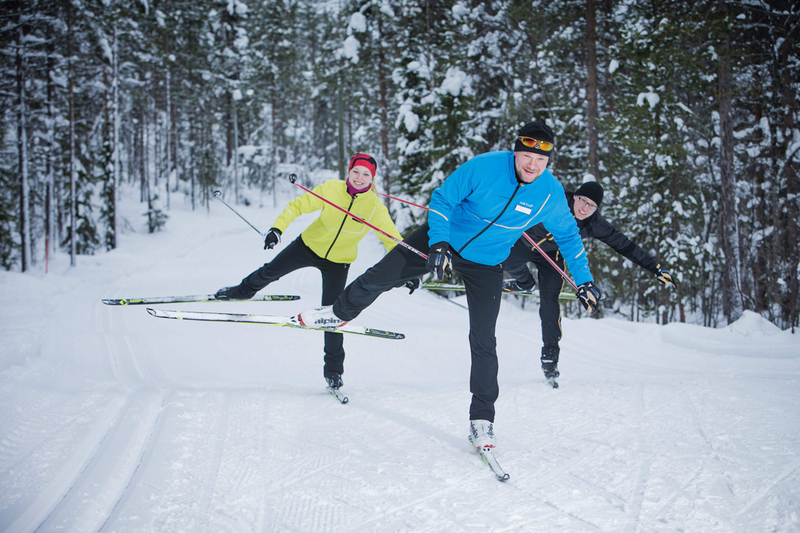 When attending to one of our courses, you will learn new skills, meet other skiers and enjoy the full benefits of training with the professional instructors of Finland's leading ski school. Each course program can also be ordered separately for a group. Check out the weekly course programme below and book your course. Weekly program courses are available again on season 2019/2020. South Point, address Tievantie 2 / South slopes (open in December-April daily 9.30am-4pm and 1.5. 9.30am-4pm). The easiest way to get to South Point from centre is by Ski Bus. Take a look at timetables and bus tickets. You do not need a ski pass while on ski school course. We highly recommend to book ski school lessons well in advance to ensure availability. Register for a group lesson at the latest day before by 3 pm. Some lessons have a minimum amount of participants. Payments need to be done at the Ski School Office before the lesson begins. You will be informed of the meeting point by the ski school office. We recommend to use our professional rentals which are located in the same buildings with the ski school office. You need to have equipment which are correctly adjusted for you before the lesson begins. Reserve enough time to collect your rental equipment, in high season appr. 30-45 minutes. ID with photo is required when renting equipment. We also recommend using a helmet on the slopes. You do not need to have a valid ski pass while on lesson/ course. Any medical conditions must be notified at the ski school office and to the instructor before the lesson begins. For children under 8 years old we recommend private lessons. We do not recommend any ski school lessons during the pregnancy. Lessons take place in all weather conditions. Winter clothing with gloves are necessary. Adaptive skiing lessons are available at South slopes. First timer on the slopes or a little more experienced skier? 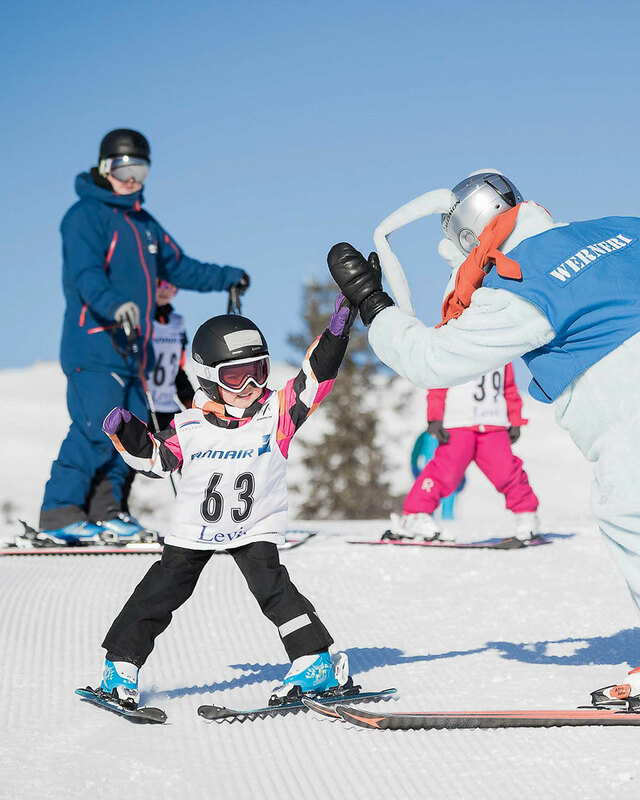 Levi Ski School offers a wide variety of courses for children and youngsters from beginner lessons to new hobbies. Come and join us! Learning new, refreshing of basic skills, introduction to freestyle skiing or improving your technique. 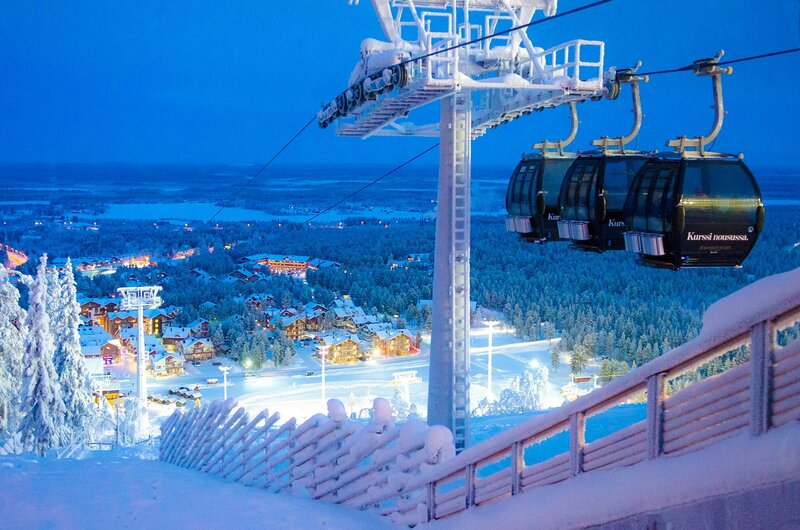 Levi Ski School makes it easy to learn a new hobby, return to an old hobby, or even get to know the Levi area safely. Join with a group: learn something new, train your skills, gain new friends and let our skilled instructors offer you a memorable experience. Did you know that you can go downhill skiing, even if you or your family member have a disability? 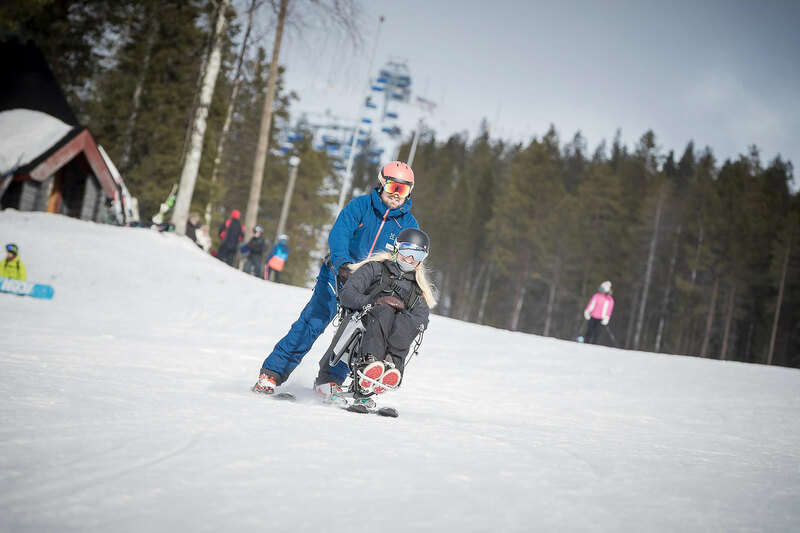 Levi Ski School offers adapted lessons for disabled skiers and snowboarders. You don’t have previous experience in alpine skiing. We teach you the basics and you get to know the equipment. We practice how to fall down safely and getting up independently, sliding, turning and how to stop. Training will be held on flat and easy parts of the slope. You become familiar with ski lift and slope safety. You don’t have previous experience in snowboarding. We teach you the basics and you get to know the equipment. We practice how to fall down safely and getting up independently, sliding, turning and how to stop. Training will be held on flat and easy parts of the slope. You become familiar with ski lift and slope safety. You can ski easy slopes with snow plough turns and stop in a controlled manner. We develop confidence and speed in your skiing. The aim is to learn to parallel ski with controlled manner, to use different types of ski lifts and taking steps to more demanding slopes. You can snowboard easy slopes, but you might still feel insecure with your riding. We develop turning techniques and linking turns comfortably. The aim is to learn snowboarding with more controlled manner, to use different types of ski lifts and taking steps to more demanding slopes. You can parallel ski in a controlled manner, but on steeper slopes you might feel insecure. We develop skiing technique and fine tune your balance on higher speeds and steeper slopes. The aim is to become more skilled and confident skier on all types of slopes. You can snowboard in a controlled manner. On steeper slopes you might feel insecure and board doesn’t turn in the way you’d prefer. We develop turning technique and fine tune your balance on higher speeds and steeper slopes. The aim is to become more skilled and confident snowboarder on all types of slopes. You can ski all types of slopes in a controllable manner and with good speed. We train carving turns and different turning techniques on wider variety of slopes and snow conditions. According to the participant’ preferences, we can learn different slope tricks and get a taste of freestyle skiing in park. The aim is to become a versatile skier and to expand your skiing skills. You can snowboard all types of slopes in a controllable manner and with good speed. We train carving turns and different turning techniques on wider variety of slopes and snow conditions. According to the participant’ preferences, we can learn different slope tricks and get a taste of freestyle skiing in park. The aim is to become a versatile snowboarder and to expand your skills. Snowshoeing or ski touring are also a good way for getting to know the Levi fell. 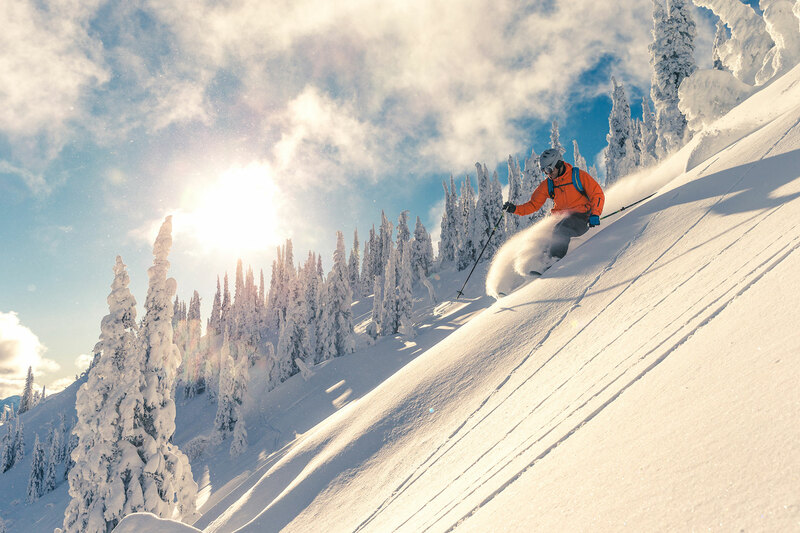 Grab our ski instructor with you and experience Levi in a new way.